Rudy Giuliani, President Trump’s outside attorney, called for special counsel Robert Mueller’s Russia investigation to be brought to a close by Friday. Rudy Giuliani, President Trump’s outside attorney, called for special counsel Robert Mueller’s Russia investigation to be brought to a close by Friday in an interview with Sean Hannity on Thursday night. 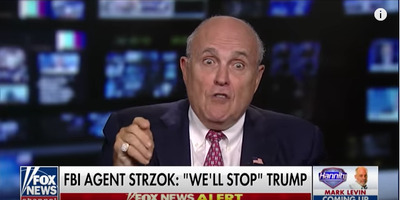 Giuliani doubled down on his call for the special counsel’s investigated to be shut down in an interview with “Fox & Friends” on Friday morning. 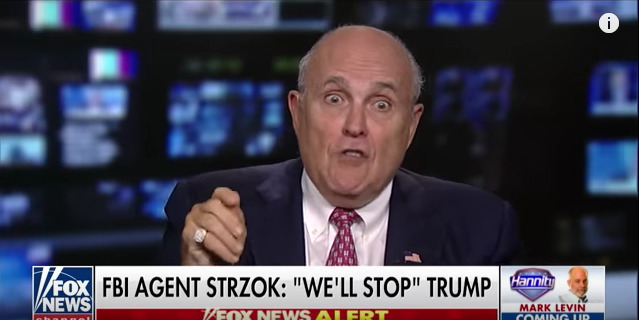 Giuliani’s calls for Mueller’s ouster comes after the Justice Department’s Inspector General released a report of his findings in an internal investigation into the FBI’s handling of the Hillary Clinton email inquiry. The 568-page report faults James Comey, the FBI director at the time, for several decisions he made surrounding the 2016 presidential election. It also found that FBI agents Peter Strzok and Lisa Page may have wanted to hurt Trump’s chance of winning the presidency. The department’s inspector general, Michael Horowitz, concluded that while Comey was “insubordinate,” his decisions were not biased. Trump has reportedly wanted to fire Mueller on multiple occassions, but has been persuaded not to by advisors. He has also been critical of Rosenstein and Sessions for their roles in the appointment of a special counsel. While Sessions has been hit by Trump for recusing himself from the investigation, Rosenstein is responsible for overseeing the special counsel’s investigation and has been criticised by Trump for not limiting the scope of Mueller’s probe.